Measure productivity in the workplace today. All you need to understand are a few key terms and concepts! The goal for any organization is to produce products or services that meet the needs of the customer at the lowest possible cost. 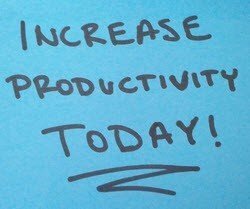 To meet this goal, you first need to know how to measure productivity in … Continue reading Measure Productivity in the Workplace – It’s Simple!